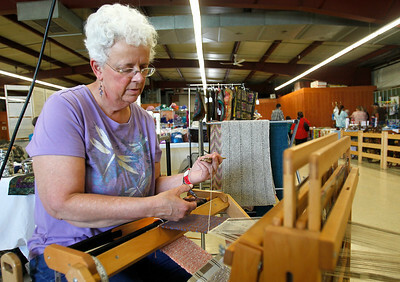 Matthew Apgar - mapgar@shawmedia.com Jean Niemann of Woodstock works on a loom to create a "mug rug", a drink coaster made of cotton and wool, during a Spring Fiber Fling event on Sunday, May 17, 2015 at the McHenry County Fairgrounds in Woodstock. Niemann is part of the Woodstock Weavers Guild, which meets on the first Wednesday of the month from September through June in Woodstock. For a photogallery and video, visit www.nwherald.com. 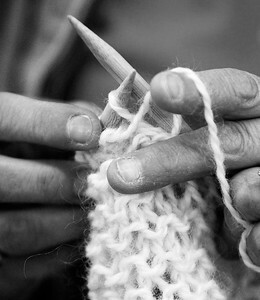 Matthew Apgar - mapgar@shawmedia.com Margie Schafer of Durand carefully knits a shawl out of leicester longwool during a Spring Fiber Fling event on Sunday, May 17, 2015 at the McHenry County Fairgrounds in Woodstock. The weekend-long event drew in approximately 400 attendees to the fairgrounds. For a photogallery and video, visit www.nwherald.com. 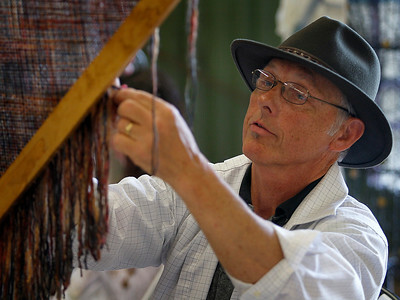 Matthew Apgar - mapgar@shawmedia.com Steve Whalen of La Grange works on a loom to create a shawl from a mixture of wool, acrylic, and nylon fibers during a Spring Fiber Fling event on Sunday, May 17, 2015 at the McHenry County Fairgrounds in Woodstock. Many different vendors and exhibitors were on hand to sell products and talk about their crafts. For a photogallery and video, visit www.nwherald.com. 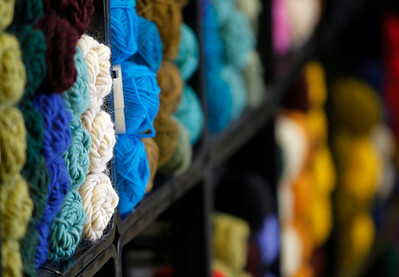 Matthew Apgar - mapgar@shawmedia.com Skeins of yarn abound during a Spring Fiber Fling event on Sunday, May 17, 2015 at the McHenry County Fairgrounds in Woodstock. For a photogallery and video, visit www.nwherald.com. 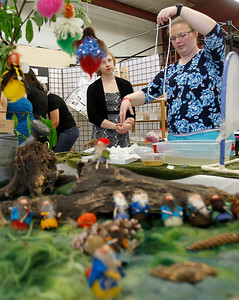 Matthew Apgar - mapgar@shawmedia.com Beth Peregrine of Warsaw, IN, right, holds up silk to show how it is made during a Spring Fiber Fling event on Sunday, May 17, 2015 at the McHenry County Fairgrounds in Woodstock. For a photogallery and video, visit www.nwherald.com. 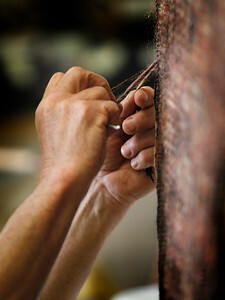 Steve Whalen of La Grange works on a loom to create a shawl from a mixture of wool, acrylic, and nylon fibers during a Spring Fiber Fling event on Sunday, May 17, 2015 at the McHenry County Fairgrounds in Woodstock. Many different vendors and exhibitors were on hand to sell products and talk about their crafts. For a photogallery and video, visit http://www.nwherald.com.